Click Servers in farm under the "Topology and Services" section. This shows the version number for the farm and each individual server in the farm. Find out SharePoint version you are running, Go to Central Admin >> Upgrade and Migration >> Select "Check product and path installation status" to get the currently installed version. 2. Open any of your SharePoint site, click Site Action >> and then click Site Settings > On the Site Settings page, the version information is displayed next to version. 3. You can identify SharePoint version from Installed Programs. Go to Control Panel > Add and Remove Programs. 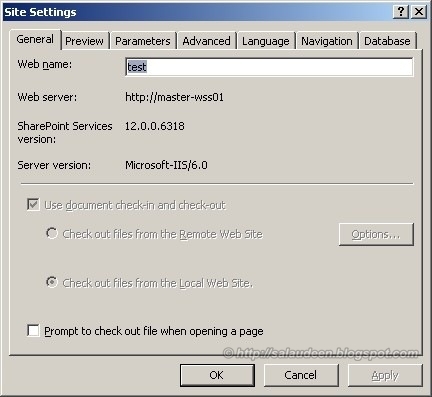 Select SharePoint server and then click: Click here for support. Now a window will pop up that displays your current SharePoint version. How to get SharePoint version using PowerShell? To get SharePoint version using PowerShell, use this script. Go to Control Panel >> Add/Remove Programs >> Microsoft Office SharePoint Portal Services or Windows SharePoint Services >> Click Here for Support Information. Can we have PowerShell script to get Build Number for which is already installed CU/Patchs/Service Pack in SharePoint 2010.